Don Valley East MPP Michael Coteau does not think Windsor-Essex residents should be made to feel like the province ends at London. He has embarked on a listening tour across the country as he builds his campaign to run as a candidate in the Ontario Liberal leadership race. Last Wednesday, it brought him to Windsor where he met with supporters and community organizations. It is a sentiment many in this region feel, that the provincial government forgets it’s most southwesterly corner leaving it to fend for itself. The feeling becomes more pronounced as the economy takes a turn for the worse. “We need to look for ways to work together to really tap into the full potential of this region. There’s no reason why Windsor should not be increasing its ability to build its economy. 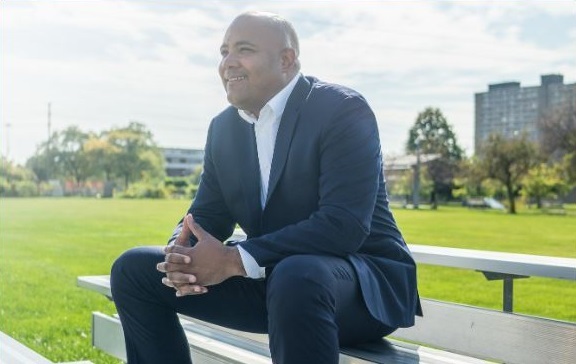 There’s no reason why people should feel that they do not have the backing of the government,” said Coteau, who added he has been to the region three times since last spring’s provincial election and has familial ties to Windsor-Essex. The Liberals went from a majority in the Ontario Legislature to just seven seats in its defeat to Doug Ford’s Progressive Conservatives. Coteau said his objective if he wins the party leadership, will be to rebuild the Liberal brand in Ontario. However, with anger against the Wynne government over issues like high hydro rates barely abated, he admitted it would not be easy. The Liberal party is expected to decide when to hold a leadership convention this June, and a new leader could be elected by mid-2020.